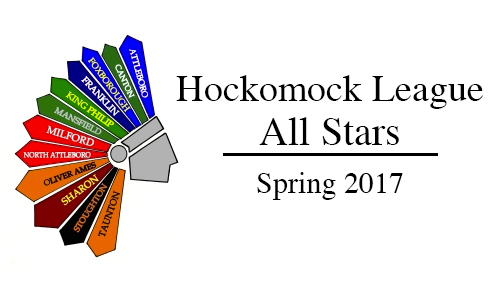 Sharon senior Shira Stoller has been selected as the HockomockSports.com Player of the Week, presented by Morse Insurance, for May 13 through May 19. Stoller is the 29th player selected for the 2017-18 school year and the sixth player chosen during the spring season. 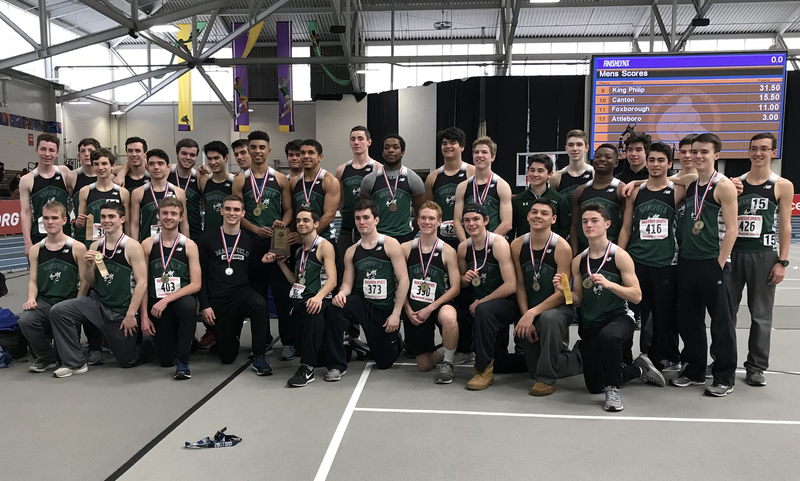 Stoller took first place in two events and second in another on Sunday afternoon at Canton High in the Hockomock League Outdoor Track and Field Championship meet. The Brown University-commit set a new meet record in the javelin with a throw of 139 feet, nine inches and she helped the Eagles finish third overall, behind only dual meet champions Franklin and North Attleboro. 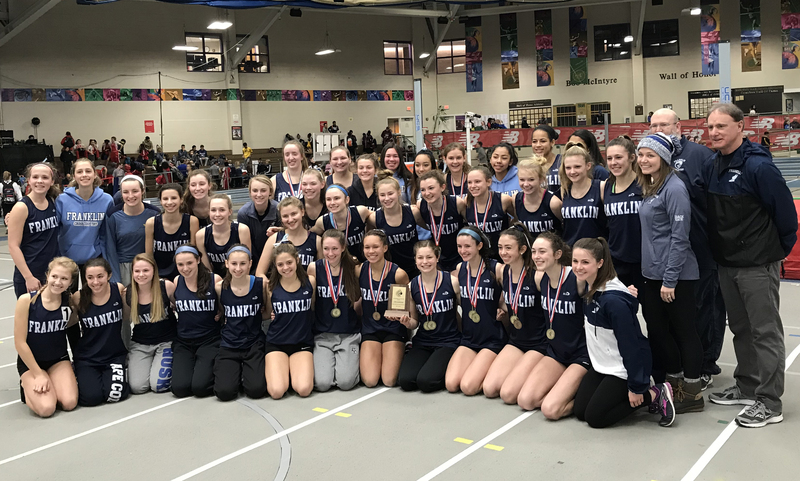 Stoller put in another impressive performance in her final meet in the Hockomock League. 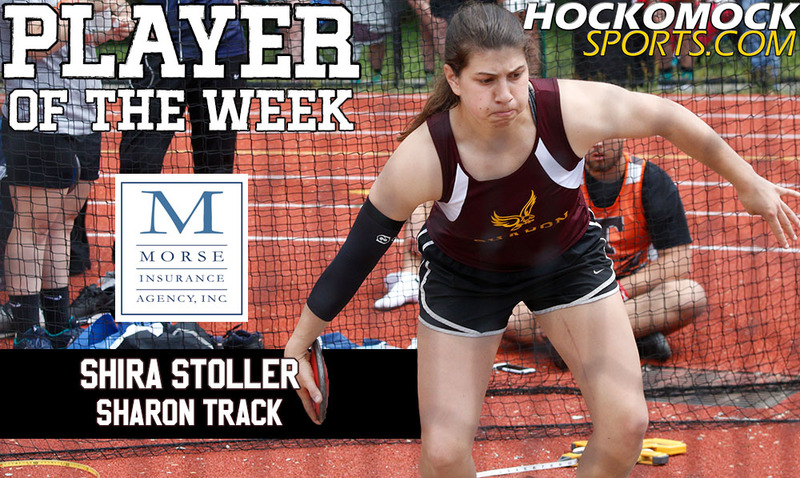 In addition to setting a record with her throw in the javelin, which was nearly 20 feet better than her nearest competitor, Stoller also took first place in the shot put with a throw of more than 34 feet, winning by just under a foot over the second-place competitor. In the discus, she finished in second with a throw of 109 feet and five inches, which was a foot behind the winner. Stoller helped Sharon stay in the running for second overall at the meet right up until the final relays. 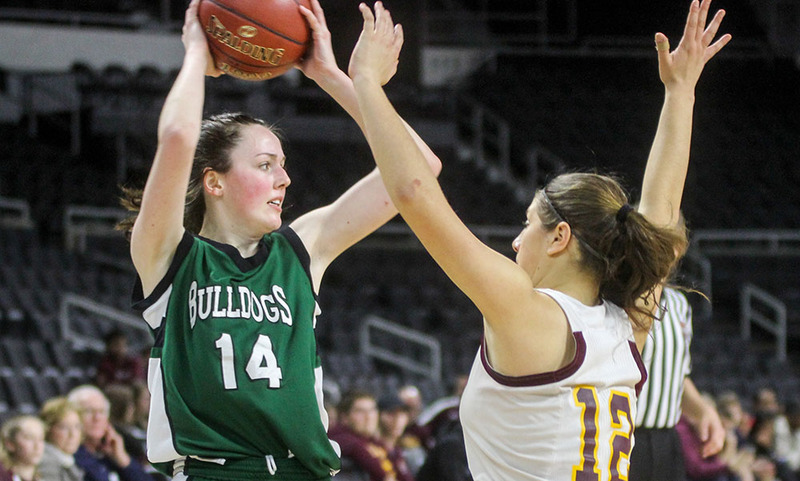 PROVIDENCE, R.I. – For most of the second half of Sunday afternoon’s game, everyone the Dunkin’ Donuts Center in Providence, including the Sharon defense, knew where Canton was going on the offensive end of the floor. The ball was going into the block to junior Hannah Jerrier as often as possible. Knowing that she was going to get the ball did not make her any easier to stop. Jerrier scored 26 points, including all 10 of Canton’s points in the third quarter and 18 of the 27 points the Bulldogs scored in the second half, and pulled down nine rebounds to lift the Bulldogs to a 58-49 victory and a season sweep of the Eagles. The Bulldogs went to Jerrier on almost every possession in the third quarter, as they tried to protect a 12-point halftime lead. Guards Julia Hamilton and Maggie Connolly and fellow post players Emma Murphy and Erin Devine each had assists on the four baskets that Jerrier had in the third, as Canton utilized the high post to perfection and extended a run from the first half that built the lead to as many as 20 points. It took the Eagles a while to get going on the offensive end int he third quarter, but Sharon started to chip away at the lead. Shira Stoller hit a runner and freshman Tylesia Herbert (seven points and three steals) buried a three from the far corner. Stoller closed the quarter with a steal, a layup, and the foul that got Sharon back within 10 heading to the fourth. In the fourth, Stoller (seven points) banked in a runner to cut the lead down to single digits at 45-36 and Veronica Wallace started to heated up for the Eagles. She answered a Jerrier basket with a drive to the hoop and took a defensive rebound and flew past everyone on her way to another layup that got Sharon as close as five points (50-45). Choquette took advantage of a timeout to settle down the Bulldogs and remind them of his halftime message. He explained, “There’s always a letdown and a point where they’re hitting their stride. I’m not worried about that part, once we get to a certain point, we have to draw a line in the sand and answer. Connolly (eight points and seven rebounds) had a drive to the basket plus the foul that got momentum back with the Bulldogs. She scored six of her eight points in the fourth and Jerrier added eight as well to close out the win. Playing in a much different environment than they are used to, both teams came out a little flat to start the game. Sharon’s offense was not helped by two quick fouls on sophomore Emma Eberhardt, who is the Eagles’ leading scorer this season. Eberhardt missed most of the first half and finished with eight points. Canton was struggling a little with the Sharon press but as the first quarter wore on the Bulldogs started to find seams and score in transition. Hamilton had all seven of her points in the first half and Murphy added 11 of her 13 before the break, as Canton closed the second quarter on an 8-0 run to break the game open. On Tuesday, Canton (4-9, 3-8) will try to make it three wins in a row when it travels to Oliver Ames. Sharon (5-10, 2-9) has to run the table to qualify for the state tournament and that begins on Tuesday with a trip to Franklin.